Grow Magic Truffles at home with the Pollock vial. This is "the" magic truffles tampanensis strain, originating from a single specimen collected in the area of Tampa, Florida, by the late Dr. Steven Pollock. Mycologist Paul Stamets later developed a method to cultivate sclerotia, which became the first "Philosopher's stones" or magic truffles sold in Dutch smartshops. The mycelium grows more aggressively than P. mexicana Jalisco, but slightly less aggressive than Psilocybe Atlantis. 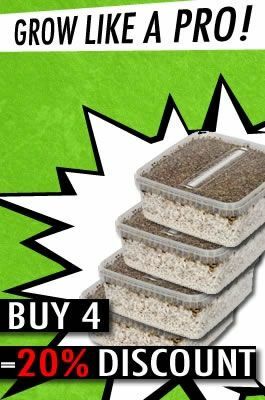 Excellent magic truffles production on a wide variety of grains, particularly the traditional rye grass seed and rice substrates. Magic Truffle Pollock can produce enormous flushes of very potent magic mushrooms. Clerotia Pollock Vial contains 10 ml of spore suspension. Sterile syringe, alcohol swab and instructions are included. excellent product. very good quality pollock Tampanensis spore vial. I expect excellent truffles.